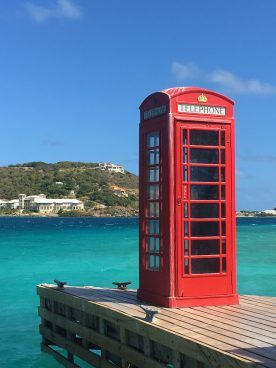 I want to connect with people in places where they feel comfortable, whether it is at a conference, a country club, or a coffee. 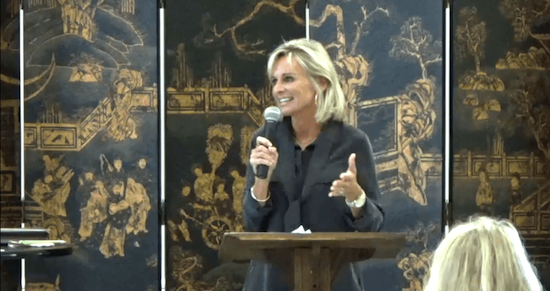 My favorite events are the ones where they invite you to bring a friend – like they did at this Christmas party I went to in Atlanta, where I got to talk about giving your kids the “gift” of prayer! It’s always a delight to dig into God’s Word and share it with others, whether I’m teaching a Bible Study at Galilee Church in Virginia Beach, speaking at a conference or a retreat, or just meeting with a small group of women in somebody’s home. The Bible is alive, active, and powerful…and God always uses it to accomplish his good purposes! What fun it is to sit down with someone and talk—really talk—about God and his faithfulness! It doesn’t matter if we’re focused on parenting, friendship, trusting God in the tricky places, or anything else, when we center our words around Jesus, those conversations never fail to bear fruit in our lives. 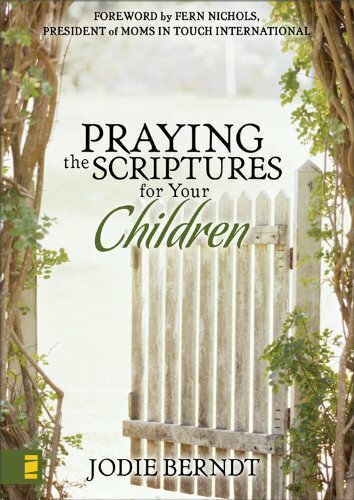 Jodie Berndt is a popular speaker and the author of ten books, including the bestselling Praying the Scriptures series for Children, Teens, and Adult Children. 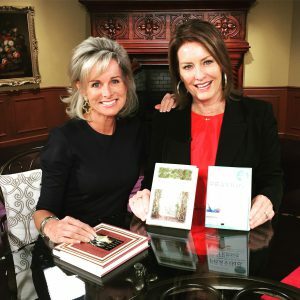 Jodie has been a guest on shows like Focus on the Family, The 700 Club, and the Don’t Mom Alone podcast, and her writing has been featured on Fox News, Proverbs 31 Ministries, and in several family and parenting magazines. A former television producer and on-air personality, Jodie has been married to her UVA sweetheart, Robbie, for 35 years. They have four adult children and live in Virginia Beach, Virginia. I believe in one God who exists in three persons: The Father (the all-powerful, all-loving Creator who made us in his image), the Son (Jesus Christ, who suffered and died to give us life and then manifested his divine power via his glorious resurrection), and the Holy Spirit (who indwells all believers and offers guidance, power, and all manner of spiritual gifts we can use to edify others and glorify God). I believe that the Bible is the inspired and inerrant Word of God, and that its truth equips us to live lives marked by things like purpose, endurance, wisdom, and joy. I believe that Satan is the enemy of God and his people, that hell is a real place, and that being a Christian doesn’t exempt us from pain and suffering—but that God promises to be with us through it all, bringing us through life’s battles and leading us in triumph as we rely on his strength and provision. I believe that our salvation comes through grace alone and not through any good works, earthly accomplishments, or gold stars on the behavior charts. I believe that we were created for a purpose and that God has good works prepared for us to do. We are to go and make disciples. We are to tell the next generation about God’s power and the marvelous things he has done. Above all, we are to love one another, holding fast to God’s love and keeping his commands so that our joy will be complete. 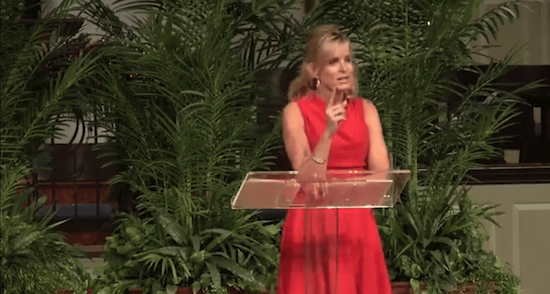 Jodie’s message, delivered with grace and humor, resonated with all of the moms in our “Teen Study” group. Jodie has a gift for meeting women where they are with the encouragement, compassion and hope found in God’s Word as they raise children at all ages and stages. When women listen to Jodie speak or immerse themselves in her writings, they discover a deep joy and renewal that delights the heart and soul. She has essential wisdom and Biblical insight for every season of life as is reflected in her books and her blogs. Her inspiration gets near to a woman’s heart to help her remember God is faithful to her, no matter what. Jodie was so well received at the Greenwich Bible Study Annual Luncheon that we invited her back for a second year. Listening and learning from Jodie is a joy because of her deep biblical insight and humor. She connects with people at al points in their spiritual journey and has been a blessing to our group of over 300 women. All are welcome at the Mid Atlantic Community Church Spring Dinner. Join us for a time of teaching and fellowship as we talk about Trusting God with the Ones We Love – just in time for Mother’s Day! Contact maccwomen@gmail.com for more info! All mothers of preschoolers are welcome to join us for the annual MOPS “tea”, 9:30-11:15 a.m. Contact Janet Phillips for info: janetphillipsvb@gmail.com. For more info on this Saturday morning event, please contact Krista Manning at lglalto@yahoo.com. We’ll talk about prayer and how we can trust God to work in the lives of our children, no matter how old they are or how near (or far away) they may be. Two identical talks to accommodate different schedules (one in the evening on 11/6, one daytime event on 11/7). For more information, please contact Ann Roth – ann@stanwichchurch.org. For more info please contact Kent Butler at kentb24@gmail.com. Join moms and dads from Reynolda Church, Hope Church, St. Peter’s World Outreach, and others in the Winston-Salem area for an engaging discussion on how we can trust God with our adult children. All are welcome! Contact Ashlee Johnson for info: ajohnson@rcstaff.org. All are welcome at Galilee’s Thursday morning Bible Study! This spring, we are exploring deep questions of the Christian faith. For more info, please contact Laura Kraus at laura.r.kraus@gmail.com. The Aslan Academy, presented by the C.S. 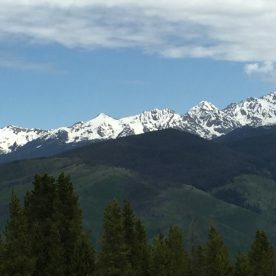 Lewis Institute (cslewisinstitute.org), is designed to help parents teach and equip their children to become effective disciples of Jesus Christ. Here’s more info about the upcoming “Keeping the Faith” conference: http://www.cslewisinstitute.org/AslanAcademyConference – I am so excited to hear from the great line-up of speakers! I’m so excited about being invited to be this year’s guest speaker at Samford University’s Legacy League Luncheon! Open to the public, this annual event raises funds to provide scholarships for students with significant financial need and challenging circumstances. If you live in the Birmingham area, PLEASE join us! For more information, contact legacyleague@samford.edu. Jacksonville Women for Christ welcomes everybody! They’ve been doing an annual luncheon for 500+ women for years, and I can’t wait to be with them to talk about how we can pray God’s best for the people we love! Join us if you can – tickets are available at www.jaxwomenforchrist.org. Please join us for dessert as we talk about praying the Scriptures and how we can trust God with the people we love! Tickets available for this evening event at www.jaxwomenforchrist.org. I love MOPS moms! If you’re in the Winston-Salem area and you have preschoolers, please join us! Contact Amanda for more info: reisenwebers@gmail.com. CBN’s 24-hour news channel features a segment called Prayer Link. 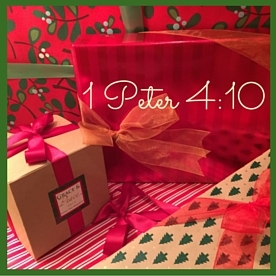 I loved talking with host Wendy Griffith about how we can give the gift of prayer this Christmas! The Prayer Warriors Podcast is available on iTunes and Google Play. I had a great time in the studio with Ryan and Laura Dobson, talking about parenting, prayer, and how we can let our kids know they are loved. Want to listen in? Here you go! This Moms in Prayer Conference is designed to help women stand unshaken and live victoriously in a troubled and often challenging world. Click here for more info: https://momsinprayer.org/events/unshaken-blue-ridge/, or sign up at unshakennd@gmail.com. Talking about faith, family, and prayer with host Ryan Dobson. Listen to this or past shows at RebelParenting.org. I’ll be talking with radio hosts Jim Daly and John Fuller – and I can’t wait! Air date is sometime in November, but if you’re in the Colorado Springs area and you want to be in the gallery to watch the taping, please reach out via my website and I will ask if there’s room! We’re talking about how to love–and pray for–our grown-up kids (even when they are out of our reach). This is a private event, but if you’re in the Colorado Springs area, please contact me for more info! This women’s event begins at 9:30 a.m. – all are welcome and childcare is provided. For more information, please contact Elise Wilkes at ewilkes@apostles.org. If you’re a young woman living in the Atlanta area, this group is for you! Married or single, working or stay-home, we all want to build life-giving relationships with one another and with the Lord. Join us at 7:00 p.m. for dinner, followed by worship, teaching, and the chance to connect with others in your season of life. For more information, please contact Elise Wilkes at ewilkes@apostles.org. Hope to see you there! 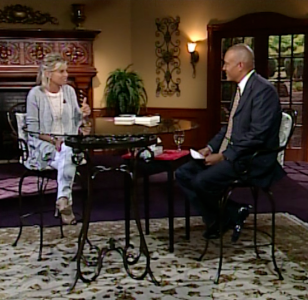 I’m thrilled to join LIFE TODAY hosts James & Betty Robison at their studios in Dallas! If you’d like tickets for the show taping, call 817-354-3655 or reserve via email at audience@lifetoday.org. I’m giving two talks; one on Thursday evening and one at the luncheon on Friday. All are welcome to attend either event! For more info, please contact Donna Davis at changingseasonsrichmond@gmail.com or 804.282.3226. We’re looking at Nehemiah to find out how to guard the gates of our homes in a culture that is not always friendly to families and faith. All are welcome to this Spring Bible Study Luncheon – contact Elise Wilkes for more information (ewilkes@apostles.org). Join me on the God Centered Mom podcast with host Heather MacFadyen. We’re talking about how to pray God’s best for the people we love (especially our little ones)! The episode posts on February 19 and can be found on iTunes or at GodCenteredMom.com. Join us as we kick off the 7-week Marriage Course with a session on “Building Strong Foundations.” Childcare and a candlelit dinner provided (at a table for two!). The course runs Sunday evenings, 6-8 p.m….get more info or sign up on the Galilee website at Galileechurch.net/event-registration. I’ll be speaking in a private home, 10 – 11:30 a.m. Space is limited, but please direct inquiries to Laura Hill at LHill@tfcanglican.org. All are welcome to this event for parents at The Falls Church, Anglican; contact Brock Morgan bmorgan@tfcanglican.org for details. We’re talking about families, prayer, and the joys and challenges of parenting on the Simply Wholehearted podcast. Listen in on the conversation with hosts, Amy Wicks and Ashley Pittman – you can find us on iTunes (Episode #35) or at www.simplywholehearted.com. Anyone can come – contact Tony Zontini tonyzontini@yahoo.com for details. We’re talking about spiritual gifts this fall at Galilee – everything from hospitality and administration to healing and prophecy. Come discover the unique graces God has planted in you…and find out how to use these gifts to bless and encourage others! Thursdays, 9:15 – 11:00 a.m.
High School Students meet every Sunday at Galilee Church (3928 Pacific Ave), 6:30 – 8:00 p.m.
Do our prayers make a difference? Can God be trusted to answer? And should we really pray about everything? Join us on May 7 as we explore what it means to “Call on God.” All high school students are welcome. For more information, contact Marty O’Rourke, marty@galileechurch.net. Do you live in Virginia Beach and have a preschooler? 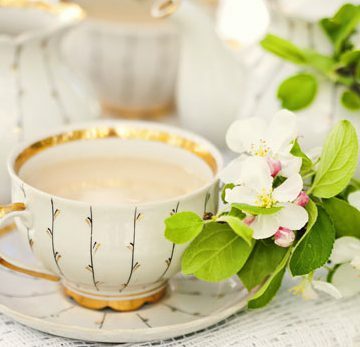 Treat yourself to a break and join other moms at the annual MOPS Tea. I’ll be speaking about how we can partner with God to accomplish his best purposes in the lives of our little ones! This event is free, and the dress is casual. Contact Janet Phillips (janetphillipsvb@gmail.com) for more information. 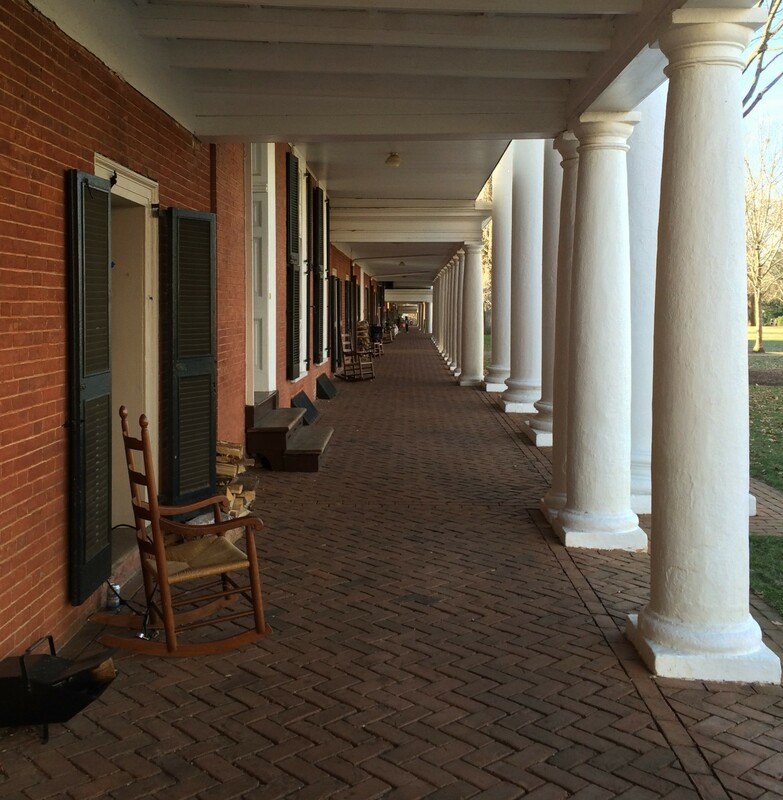 Veritas School in Richmond, Virginia, 7:00 p..m. – Open to the public. The Veritas School offers a classical education designed to cultivate students’ minds and souls and equip them to discover God’s purposes, both for the world and for their individual lives. I’m looking forward to speaking to the Veritas community about how parents and grandparents can pray effectively for their children and partner together to raise kids who will lead and serve their friends, their families, and their communities. You don’t have to have a child in the school to come – all are welcome! For more info, contact Sara Kennedy at skennedy@veritasschool.com. I love the mamas who are part of MOPS, and I can’t wait to speak to the group that meets at Williamsburg Community Chapel. We’ll be talking about discovering and praying God’s best for your little ones – and for yourself (even when you haven’t slept through the night in a year)! 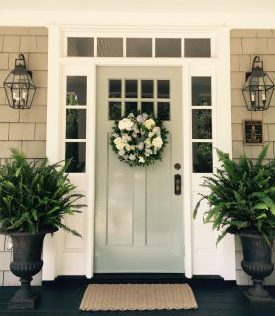 To learn more about MOPS in the Williamsburg, Virginia area, please contact Stephanie Barrell at stephanie.barrell@gmail.com. If you live in Virginia Beach, join us for the kick off of a new study on PRAYER. I’ll be teaching the first session about how we can use the Bible to shape and give life and power to our prayers…and talking about what happens when our prayers don’t get answered the way we want them to! If you want to watch this (or other teachings in this series) online, please visit Galileechurch.net. All are welcome! 9:00 – refreshments, followed by teaching at 9:30 and then small groups. Come dressed in your workout wear if you wanna sweat with a personal trainer from Jim White Fitness after Bible Study, 11 a.m. – noon! Tune in on January 2 at 6:00 p.m. as talk show hostess Anne Ferrell Tata interviews me about things like miracles, praying the scriptures, and what happens when your prayers don’t get answered how or when you want. Joy in Our Town is on the Trinity Broadcasting Network. 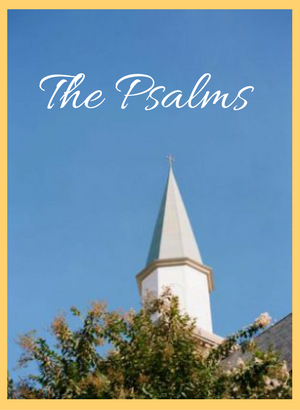 The program will re-air on January 7 at 3:00 p.m.
We’re studying the Psalms this fall at Galilee Church. I’ll be teaching this week on some of the Psalms of Ascent, songs that Jewish pilgrims sang as they made their way to the feasts every year. These tradition-rich psalms offer fabulous insights on things like worship, work, hope and joy – come join us! Thursdays, 9:15 – 11:00 a.m., 3928 Pacific Avenue in Virginia Beach. Childcare provided. More info at Galileechurch.net. We’re studying the Psalms this fall at Galilee Church! 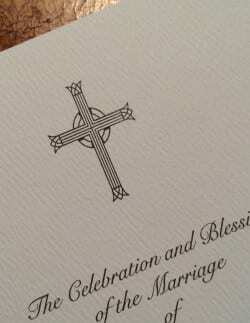 All are welcome – Thursdays, 9:15 – 11:00. I’ll be teaching this week, with a special emphasis on Psalms 73 (a great help for those who doubt or struggle when “the wicked” seem to prosper) and 84 (which shows us how to find strength, delight, and trust in the Lord). More info at Galileechurch.net. Brad Wilcox directs the National Marriage Project and teaches classes at The University of Virginia. I’ll be part of a panel discussion on Marriage, Motherhood, and Work for Wilcox’s popular “Sociology of the Family” class. Not a U.Va. student? You can still get access to Wilcox’s excellent research on marriage and family issues by following him on Twitter @WilcoxNMP. 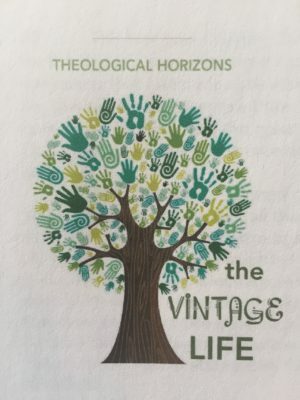 The Vintage Lunch series, sponsored by Theological Horizons at the University of Virginia, offers students and others in the university community a chance to meet some of the best writers from the Christian tradition – “vintage” people whose work and faith has endured for centuries. I’ll be facilitating a discussion on Hannah Whitall Smith’s classic work, The Christian’s Secret of a Happy Life. This event is free, and all are welcome – and you get a homemade lunch, too! Friday, September 9, 2016, 1:00 – 2:00 p.m., 480 Rugby Road (temporary new location while the Bonhoeffer house is closed). Wh at could be more fun than a gathering of moms and daughters to talk about family life, business ventures, friendship, and faith? I’m honored to be with this crew in Vail, Colorado! What a privilege to speak to these amazing women as they support their husbands and find community on the PGA Tour. We’re talking about motherhood, friendship, and the power of prayer for our families! 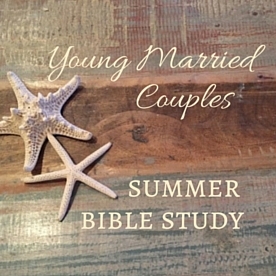 Jodie and her husband, Robbie, speak to a group of newlyweds about the “profound mystery” that is marriage…and how our different backgrounds and family experiences can make leaving and cleaving a challenge for today’s young couples. 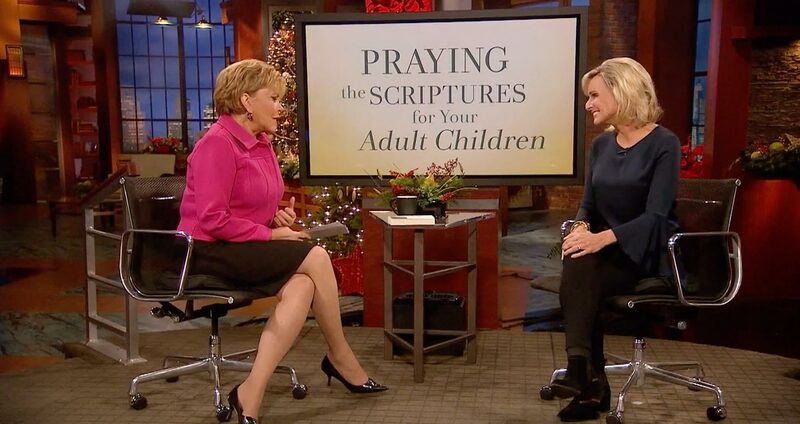 What a privilege it was to talk about praying for your children with TBN host Bishop Kim Brown! We discussed many of the challenges today’s families face, shared some powerful prayer strategies, and prayed for the TBN viewers. Such fun! It’s probably never been tougher to be a teenager – or the parent of one! In a fast-paced world where things can change faster than a snapchat, it can be hard to keep up or know if you are doing the “right” thing. Thankfully, God knows just how our kids are wired, and he loves them even more than we do. Whether we are concerned about our teenagers’ safety, character, relationships, or anything else, we can take our cares to God, knowing that he has great plans for for their lives, and that he is powerful enough to accomplish them! Join us for our very first Changing Seasons book launch! 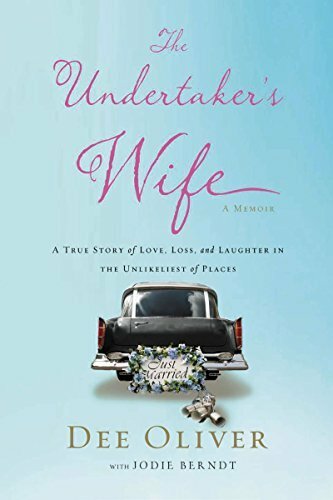 I’ll be interviewing Dee Oliver, whose story about her life as an undertaker’s wife is touching, practical, and sometimes laugh-out-loud funny. Tickets are just $20 each for this evening event – please visit www.changingseasons.org for more information. Wednesday, March 25th, 7:00 p.m. The Alpha Marriage Course runs Sunday evenings, January 11 – February 22, 2015. Topics covered include communication, dealing with finances and in-laws, knowing how best to show and receive love, increasing intimacy, extending forgiveness, and more! Teaching is lecture format, with extended time for couples to talk privately with one another (no small groups or open discussion time). Space is limited to 25 couples. 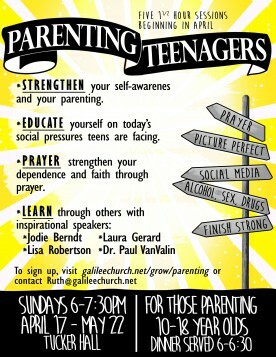 For more information or to register, please contact Ruth Wilkins at 757-428-3573 or ruth@galileechurch.net.